In addition to installing seamless gutters for you in St. Augustine, our team can also install state-of-the-art gutter guards. These revolutionary products come from Gutter Monster®, and they are designed to keep gutters free from seedpods, twigs, and other debris while still allowing gutters to safely channel rainfall away from a home’s foundation. To find out more about the seamless gutters that we custom-manufacture and install for homeowners throughout St. Augustine, FL, please contact Green Machine today. 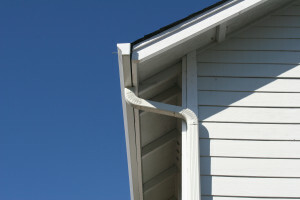 We’ll be here to answer any questions you have and will also be pleased to provide a gutter consultation for you to better familiarize you with the exceptional products we install.